Whether a construction project is residential, commercial, or governmental, the expertise of a professional civil engineer may be required. A civil engineer is often mandatory when designing residential, commercial and industrial projects. Take a look at what civil engineering is comprised of and how civil engineering requirements may apply to you. What does civil engineering entail? Civil engineers design, construct and maintain the structures that form the transportation, resource distribution, environmental systems, and physical infrastructure of modern society. 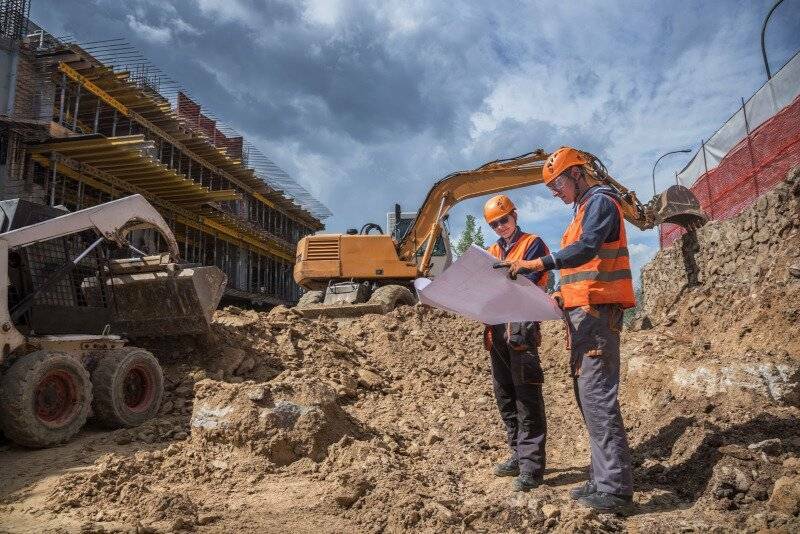 In residential and commercial projects civil engineers are primarily responsible for the site preparation activities, for example, if the property which is to be built requires excavation of the surrounding land there must be an approval from a licensed civil engineer about the site grading plan and earthwork estimate along with the cut and fill calculations of the earthwork to be excavated. Civil site engineering includes civil engineering, survey, land planning, and site development services for residential and commercial projects. A critical service of the civil engineer is to provide site/subdivision plans. The subdivision plan will assess everything from the infrastructure, roadway design, lot layout, easement dedication, grading, and variances of a construction project. Site grading is the process of adjusting the slope and elevation of the soil around a building. Before renovation or construction, site grading might be performed to even out the surface and provide a solid, stable foundation. For existing buildings, grading may be required to improve drainage and create the desired appearance for landscaping features. Earthworks are engineering works created through the moving and processing of large quantities of soil or unformed rock. Successful grading and earthwork projects require the expertise of a civil engineer. Erosion control plans provide temporary facilities to treat sediment-laden runoff from a construction site. These plans are often part of a stormwater plan, but can also be standalone. A civil engineer will prepare an erosion control plan and submit it to the correct authorities for review and approval. Hydrology is the study of water and is crucial to civil engineers working to develop water resource infrastructures. Hydrology data is used in conjunction with engineering hydrology and civil engineering to design, build, and operate reservoirs, dams, hydroelectric power plants, and more. Stormwater management plans are often incorporated into the subdivision or land development plans for a project. A stormwater design will include a survey to provide a base map showing the location of the proposed improvement, a grading plan, design, and an erosion control plan. Integrating engineering approaches in a LID (low-impact development) site design can provide redundancy and resiliency of the stormwater management, landscape systems and improved ecological function of the site. Civil engineers are responsible for designing an adequate and sanitary sewer system that ensures buildings stay toxin-free while providing adequate and eco-friendly wastewater management. Each development requires the engineer to undergo serious planning and forethought to maximize draining and runoff efficiency. Septic tanks are the underground, onsite, small-scale sewage treatment setups that collect sewage and use bacterial action to decompose the waste. Designing a proper septic tank is a vital part of constructing a property that cannot access the local sewer system. A civil engineer can examine the lay of the land and perform various soil tests to establish the best area to construct the septic system. What’s more, the septic tank design must meet the relevant zone and code requirements. Do you have more questions on civil engineering? Then contact us, we at Design Everest has a team of highly experienced, California-licensed civil engineers who can help you with civil engineering advice and services. Call us for a FREE quote and consultation on (877) 704-5727 or email your civil engineering requirements to info@designeverest.com today!